hahah XD (*made in china ) LOL…. It looks like it would be uncomfortable to hold. I was hoping for something more “Get Smart”. that looks like it would be uncomfortable to *wear*. 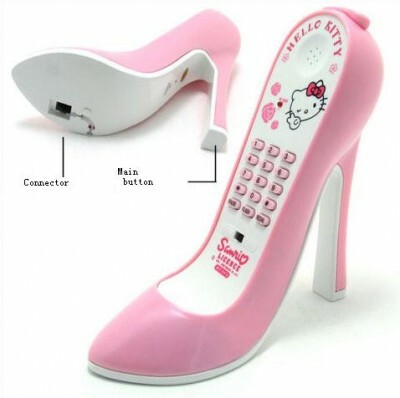 i want hello kitty high heels that i can wear . I LIKE IT WHERE I CAN BUY IT? ?